In the meantime I am exited to receive the new book “Go hard or go home – Faszination Ultratriathlon” (unfortunately, only in German!) by Swiss ultra-triathlete Daniel Meier and extreme sport enthusiast Iris Hadbawnik fresh from the press! There are a number of ultra-triathletes featured in the chapter “Why – Motivation”, and I happen to be one of them. For me the book will be a great inspiration to continue and improve my training and preparation at 60+ – still pursuing my dream of an ultra-triathlon Dover to Heidelberg in the nearer future (2020?). I am happy to see how much room the mental and inner preparation is getting in the book – but no wonder, since inner determination, positive outlook, peace and inner strength are definitely needed to allow the body to enter new performance territory! It is an inspiring read for anyone envisioning to venture into ultra-sport territory! 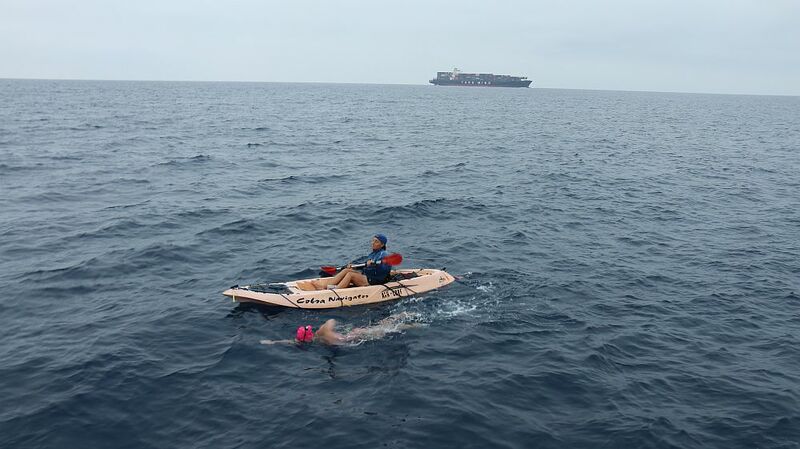 It was supposed to be a very good training swim for the English Channel, since I was booked for the tide starting Sept. 16th (to 22nd). However, the water was warm as a bath tub! (In 2010 it was a cool 19°C, which was perfect preparation for my Channel-triathlon in Sept. 2010). When we entered the water at 7 a.m. in the morning – after a beautiful star studded outdoor night on the lido deck (with 3 shooting stars!) – it felt like a bath tub! Yet the swim was not going to be easy. We had more DNFs than usual, and, apart from the very fast swimmers, most of the swimmers were slower in the second, shorter half after Meilen – wind and waves were against us, even if the waves looked tiny on photos and video. For the first time ever I barely made it. Luckily the head organizer came up to our boat in Küsnacht, at the last cut-off, and asked how I felt and if I had any power left. I said yes, a little bit amazed, but he pointed out that I had to speed up to be able to make it within the 12 hour cutoff. I had not been aware at all that we had slowed down so much! 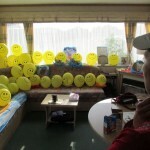 True, for a few hours I felt my energy levels were a bit down, but it did not worry me. So I started to “sprint” – which is not really much faster than my usual speed – but it helped. Soon the yellow sunshades near the finish line came into sight, but they seemed to stay in the distance forever. The clock was ticking, and it was impossible to tell if we would make it. For the rowers it was hard to steer a straight line, and for me it was hard to sight with the waves. 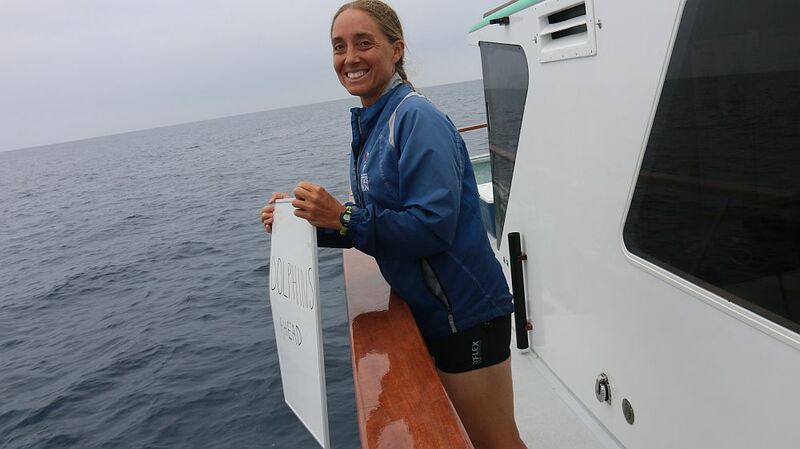 So I surrendered, and just tried to stay cheerful, give my best, still take a few seconds to fuel up a few more times to keep the speed and follow the boat. I prayed to just be able to finish – never mind the time. If it should be under 12 hours I would be extremely grateful. But who knows what kind of experience was the best for me right now. Sometimes defeat can teach your more than victory, we know that. But then, even finishing over 12 hours would not really count as defeat. 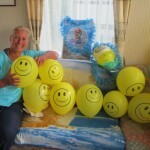 Anyway – although the rainbow balloons at the finish took ages to appear and come closer, I finally made it in 11 hours 58 minutes and 34 seconds – the last finisher! I was so grateful! It was like a very special blessing. True, our relay team finished after me, but since the relays started 30 minutes after the solos they were still faster. Interestingly I felt quite fine at the end. A little dizzy, but nothing overly unusual. Got a great massage just before the massage tent went down, had some food and refreshments at the amazing vegetarian buffet and then got ready for the award ceremony – with lots of Channel swimmers present. 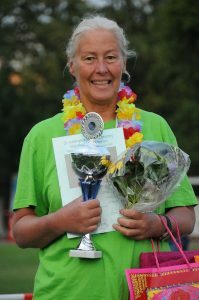 Very surprised to find I placed first for the masters women – the 2 other bioprene master ladies (= non-wetsuit) had not made the cutoffs at Meilen and Küsnacht, one neoprene woman masters swimmer set a new course record, while the second one also did not finish! Among the men, 6 did not make the cutoffs this time – a record number! 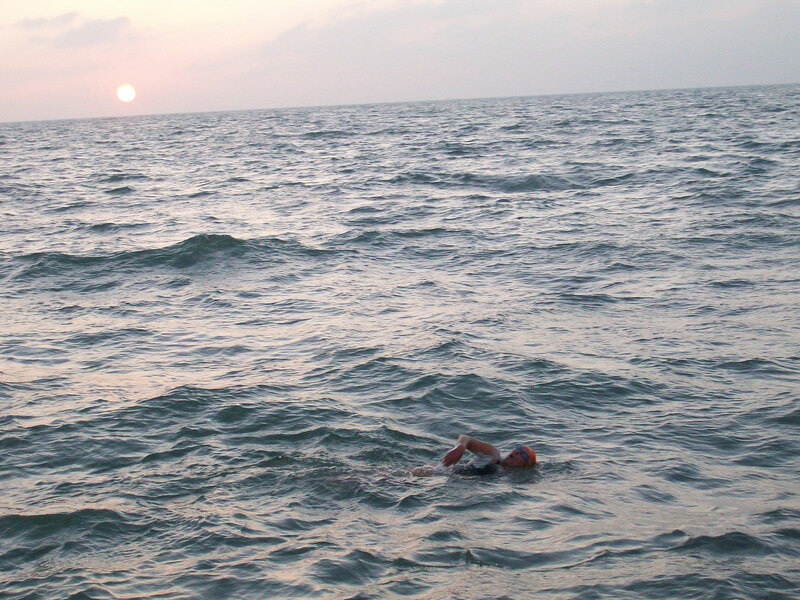 Although this swim basically went fine for me, apart from the weaker hours in the second half past Meilen, the next and last long training swim – a 7 hour swim in Dover, Sept. 1st, after a long bus ride and little sleep, gave me a hugely different, totally new experience. One that forced me to abandon my Dover-Heidelberg attempt at least for this year! Sorry for no more news here – right now I am booked again for the English Channel (triathlon challenge) for Sept. 2018. More to come. Update Wed., Sept 23: It’s over for this year, but booked again for 2018! Last Sunday afternoon I went for a very nice 3 hour swim in lake Waidsee near Weinheim, assuming the water would be 17°C. It did not feel too cold, the sun came out, it was beautiful, swimming felt powerful and I could even work on my style, seeing too many air bubbles around my right arm stroke in the clean water. However, the water turned out to be 19,3 °C the DLRG told me – so much for cold training back home! 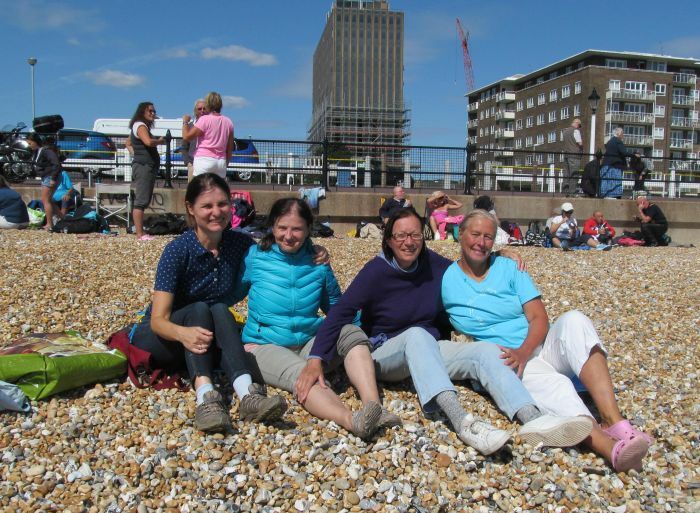 Since the weather remains extremely unsettled for Dover – only Fri/Sat. looks swimmable right now – and air temps in the Channel are going down to 8°C at night with very chilly mornings and evenings, and water below 17°C, I decided to finally called it a year and feel happy with that. Eddie booked me in again for Aug. 3-8, 2018 (2017 is already full). This time, the idea will be to finally achieve my long-time project, Dover-Heidelberg – at age 61! 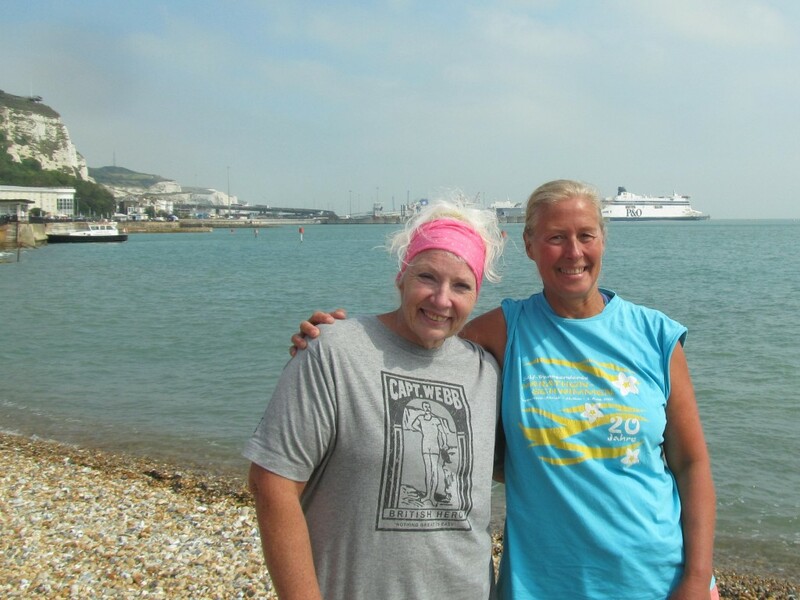 Interestingly, Sunday 20th was also the first real swim day in the Channel again since I left Dover – with 11 boats out. And only Friday/Sat. 25/26th might be the next possible days until Oct. So many swimmers still waiting! I hope Karteek will get a chance to swim! 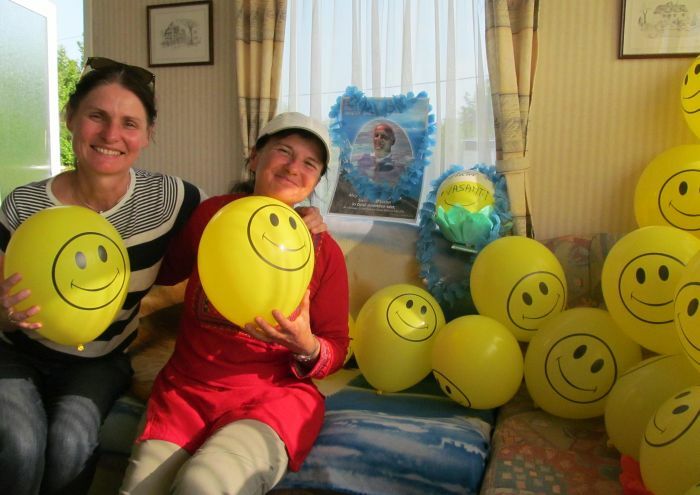 Saturday: The team is complete and in good spirits (Sumeru, Sananda, Sarita, Vasanti). Then it got cold. Change is normal at the English Channel. The last few days, and even more so the nights in Dover and Calais have been cold to icy and the water near the French coast – where it usually gets warmer – is very cold, an Indian swimmwer told us. 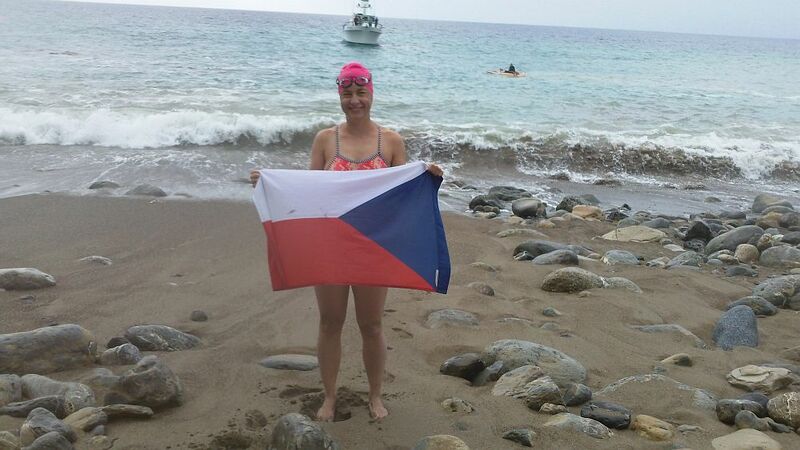 No swim for us on Monday, hoping for Wednesday morning, but ready even for Tuesday – or Thursday :). The high pressure Zone is here, with cold winds from the North, and it is calm in the Harbour, but beyond the separation zone the waves are still 5 foot high from the storm over the North sea. 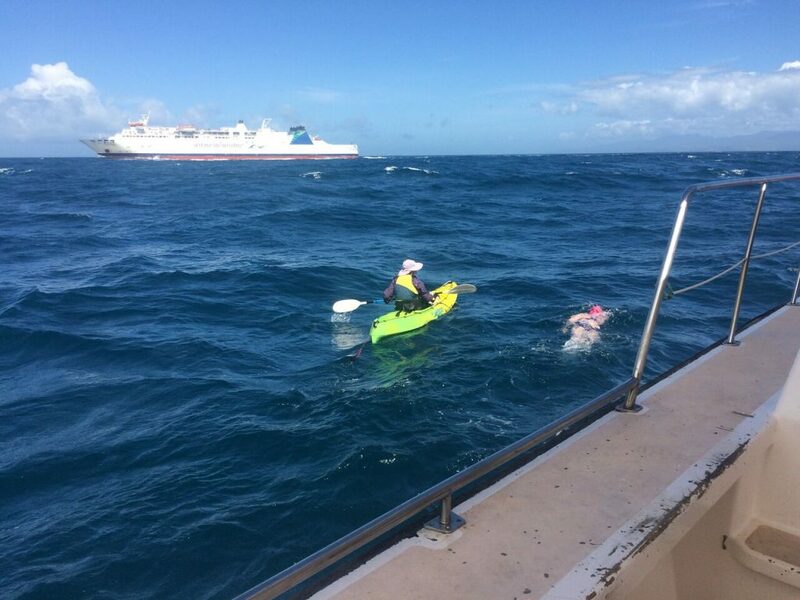 So more cold water training in the harbour, eating and resting – and crossing fingers. My three helpers are here (Sarita from Canada, Sumeru and Sananda from Austria) and we are swopping interesting stories about the early years of our team`s Channel Swimming (Sarita was pulled out after 14 hours in the Channel in 1988 for no good reason by the boat pilot, Sananda was Gyde`s helper who finished in windforce 7 with tremendous energy and determination in 1987). And also mountineering stories from Kilimandscharo, Nepal etc. A great team, lots of Inspiration, enthusiasm and fun. A friendly Invasion of France. Interestingly, Sept.7th had been the day I had concentrated on – but it was not my day, too cold. 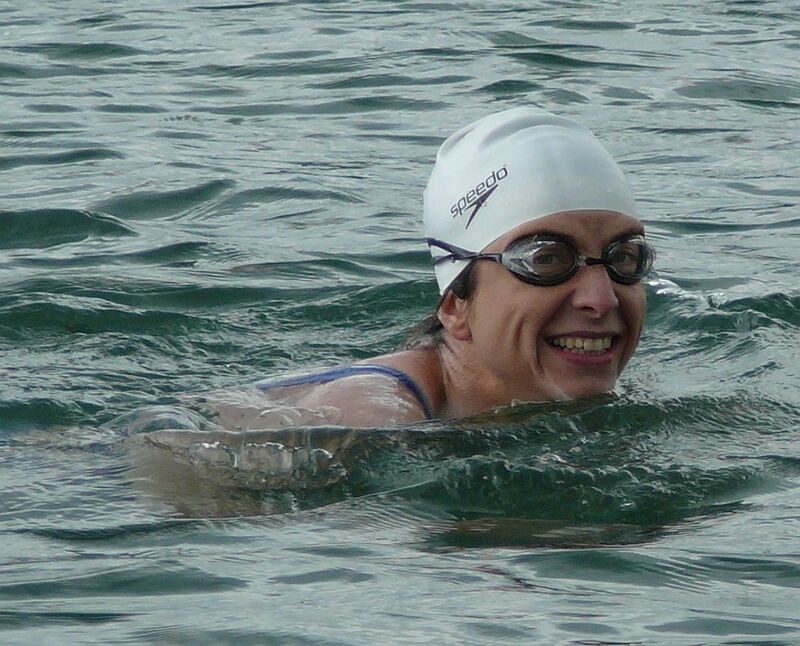 And Eddie had another swimmer who had trained in cold Ireland waters and was ready for it. 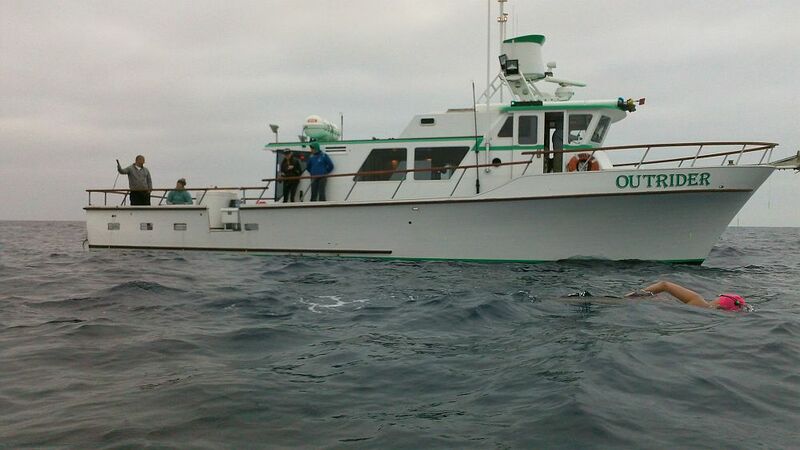 Update Sept.7th: Today 12 boats are out including Eddie/Anastasia. Tomorrow may be too windy. But we are still planned for Wednesday – very good! Eddie videoed dolphins today out there. If you look at https://twitter.com/AnastasiaSwim you will see who is swimming with Eddie and get more details. We still have to figure out who will be texting and receiving texts on the boat. 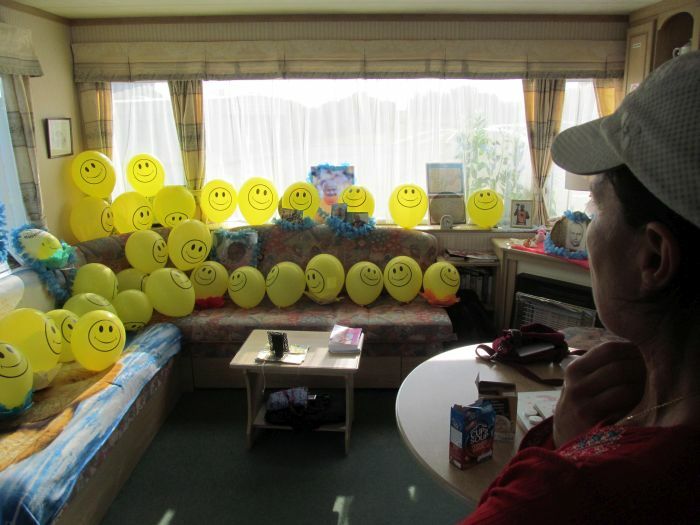 btw: Internet access is difficult at our Caravan park – I mostly go to a hotel down at the marina to use my notebook. 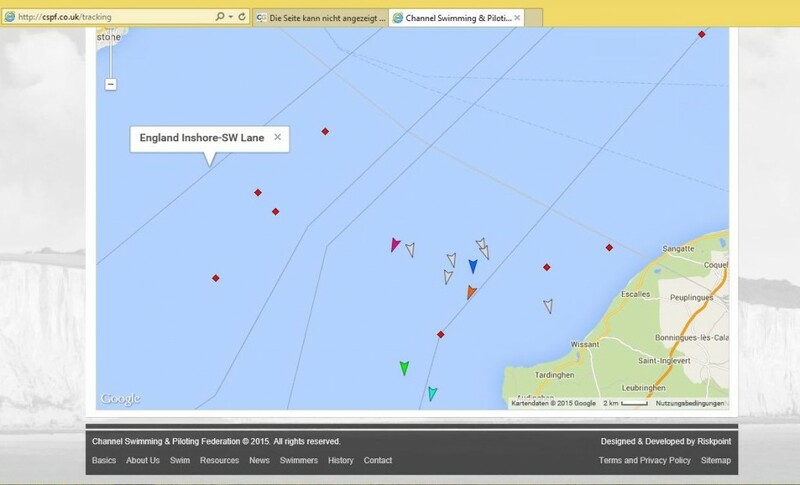 Today 5 pilot boats with swimers are out in the Channel – but it is a 7.20 m spring tide (http://cspf.co.uk/tracking). 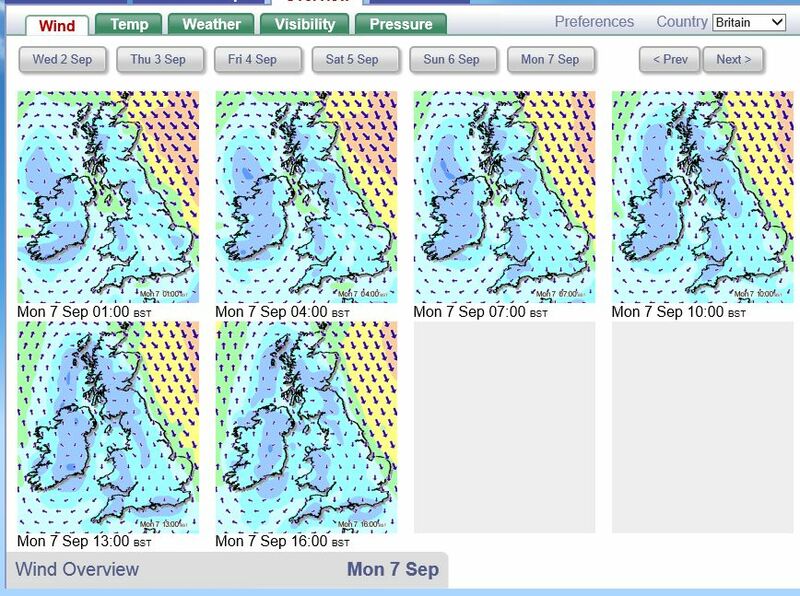 The next days will be windier again, but Monday is looking good. 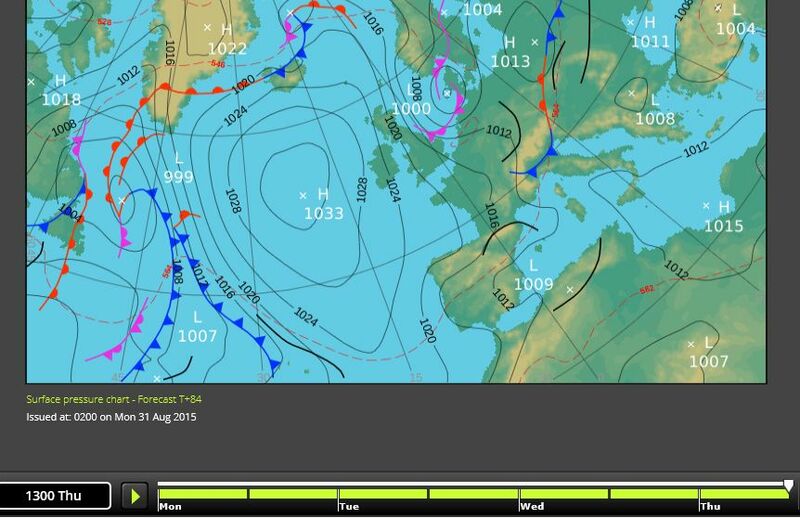 XC Weather Chart for Monday. Blue means no to light winds (windforce 0-3) , basically swimmable, green is wf 4, doable for some time, but boats do not go out on a “green” day. But then again – with the Channel you never know! Fingers crossed! with Jackie Cobell, one of the Channel heroes for the longest English Channel swim: it took her 28 hours 44 min. 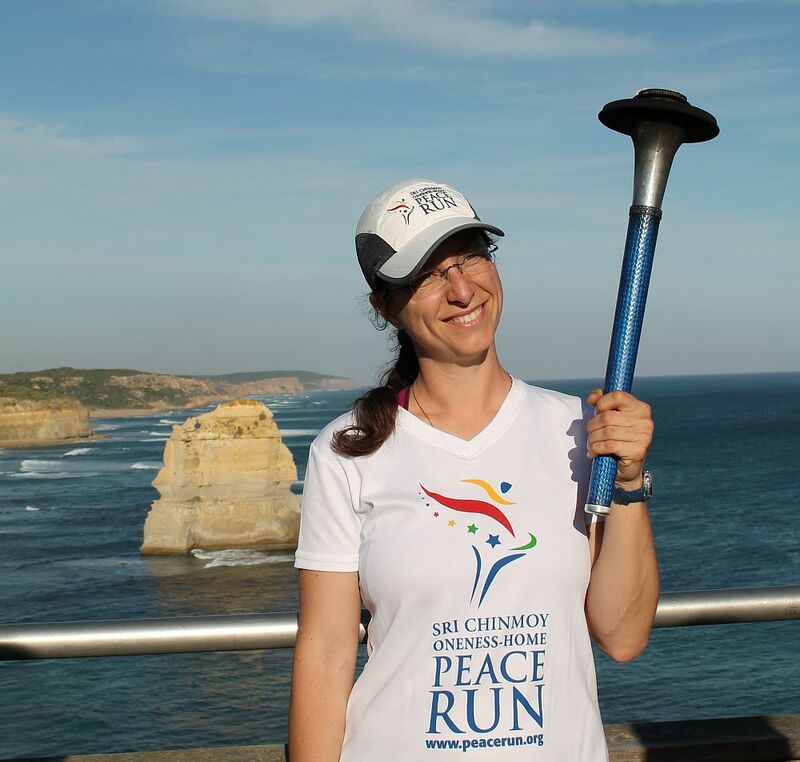 to reach France in 2010 – but she would not give up! 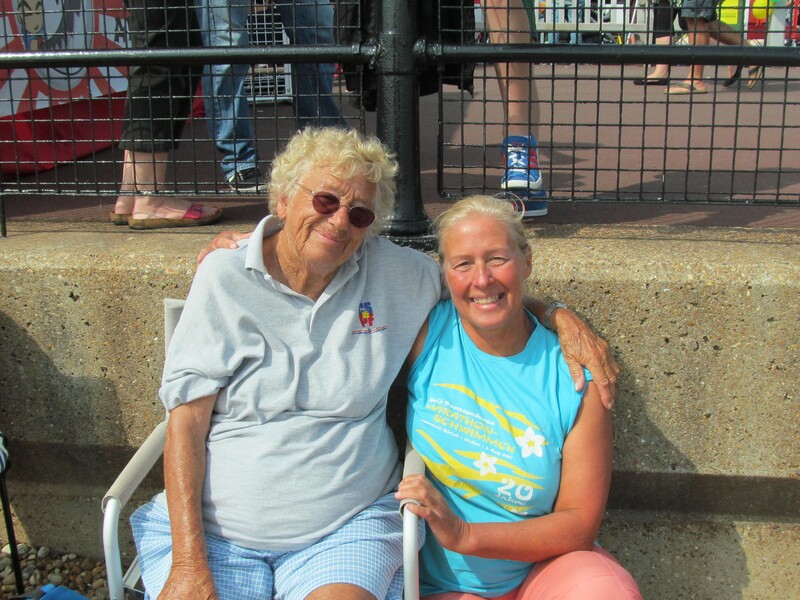 Met Channel swimmers, aspirants and all kinds of heroes on the beach as usual, including legendary Jackie Cobell, who holds the record for the longest / slowest Channel swim ever, testimony to incredible stamina, determination and endurance! Sananda, my helper from Vienna, is only arriving on the 5th, hopefully there will be a more stable weather period for a change, the last neap tides (Aug 21-27) were basically wiped out again. 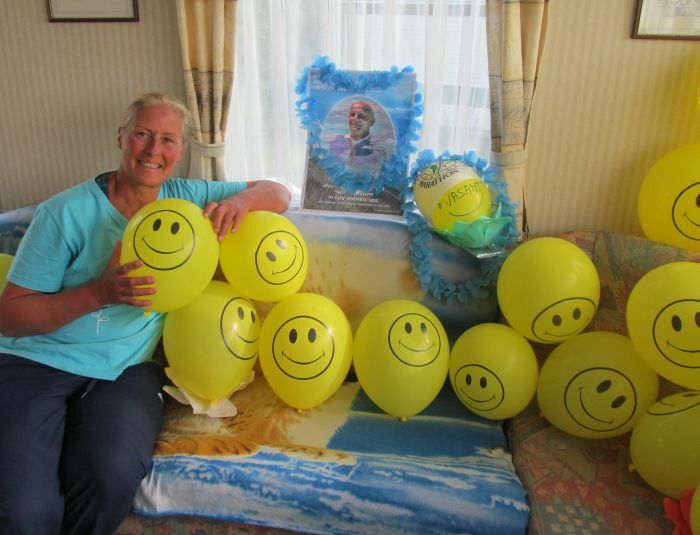 My second helper just dropped out for family reasons – but then I got a phone call from Canada, an old Channel swimming admirer will use her air miles to come over and help short notice, arriving Friday! Thanks, Sarita for your enthusiasm! 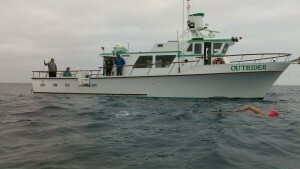 My boat is Anastasia English Channel boat again with great pilot Eddie Spelling and his crew. Dover Tides: https://www.tidetimes.org.uk/dover-tide-tim es (neap tide is 6 m or less) – swims usually start one or two hours before high tide – but you never know! Congratulations to our team`s 1st Triple Crowner! Dolphins ahead! Harita (EC relay swimmer) multi-tasking as boat butler and kajaker. 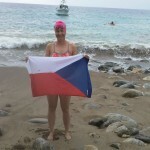 The swim was very nice, she said, with calm waters, lots of bioluminescence and even dolphins (and no shark encounters). More details to follow soon. 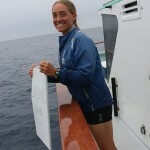 It may be interesting to note that Abhejali – like many of our team members – has been a vegetarian for over 20 years now and feels that her regular meditation practice not only helps in her training by increasing focus and aiding regeneration, but also keeps the “monkey mind” at bay during the swim, allowing her to experience the peace and beauty of open water swimming even more. 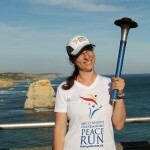 When she is not swimming or training for a long swim, you can see her running with the Peace Torch in various parts of the world or doing triathlons or multiday races like the 10 day race in New York.